The fifteenth Glenn Murcutt International Architecture Master Class will take place 05 – 19 July 2015. 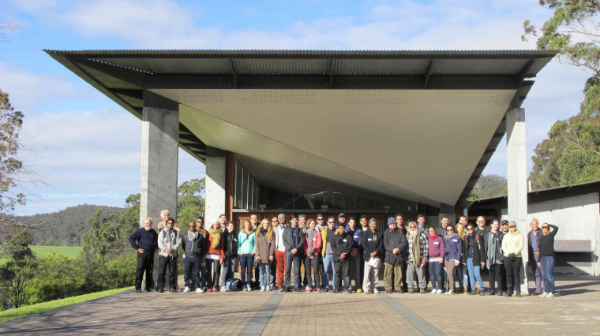 The first week will be held at the magnificent Boyd Education Centre ‘Riversdale’, on the banks of the Shoalhaven River, south of Sydney – the building designed by Glenn Murcutt (with his wife Wendy Lewin and Reg Lark) has been described as Glenn’s “masterwork”. The second week will be held in a heritage building in central Sydney, close to Sydney Harbour. The two-week annual residential program has, since its inception in 2001, been attended by architects from over 70 nations. Pritzker Prize laureate Glenn Murcutt leads the studio, and other principal tutors include seminal Australian architect and teacher Richard Leplastrier, Norwegian-Australian Professor Brit Andresen and multi-award winning architect Peter Stutchbury. The convener of the event is Irish-Australian Lindsay Johnston, Former Dean of Architecture at the University of Newcastle, Australia. Link for details, program, portfolio of insights, testimonials and application form.